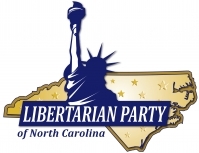 e RALEIGH (Feb. 15) – The Libertarian Party of North Carolina will host the only presidential debate in North Carolina on March 7. It will be webcast via Google Hangouts On Air from 9 to 10:30 p.m. EST. To watch the debate, go to http://bit.ly/libertarian_debate. The candidates listed on the primary ballot are: Marc Feldman of Ohio; John Hale of Kentucky; Cecil Ince of Missouri, Gary Johnson of New Mexico; Steven Kerbel of Colorado; Darryl W. Perry of New Hampshire; Austin Petersen of Missouri, Derrick Reid of California; Jack Robinson of South Carolina; Rhett Smith of Texas, and; Joy Waymire of California. The Libertarian presidential and vice presidential candidates will be chosen by delegates to the party's national convention scheduled for May 27 to 30, 2016 in Orlando, Fla. Copyright © 2016 Libertarian Party of North Carolina, All rights reserved.